Just back from a blustery week spent walking along my favourite coastline in Northumberland. Huge skies, empty beaches and more than enough wind to blow the cobwebs away. 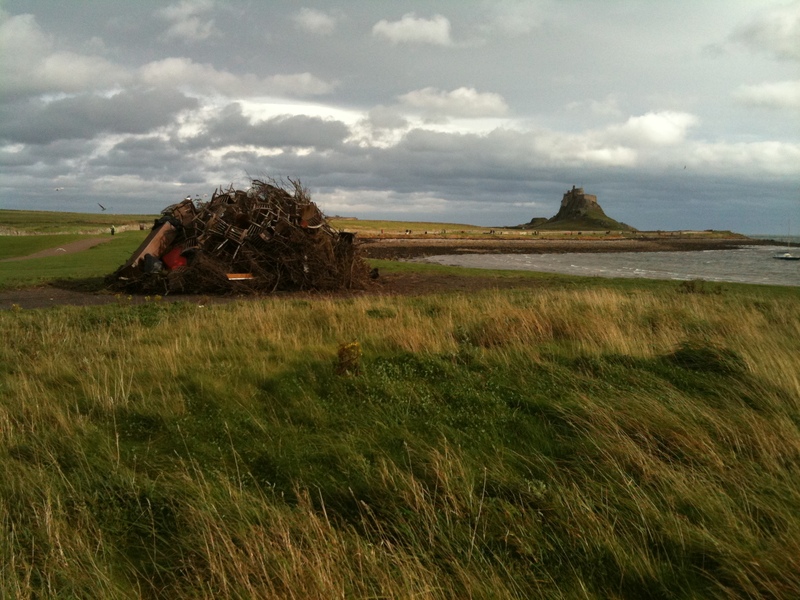 The windiest day by far was last Wednesday, which we spent on Lindisfarne (Holy Island). The gusts were so strong I had difficulty standing up. Looking towards the Castle (restored by Lutyens) I was struck by the similarity between its shape on the skyline and the bonfire pile under construction for Guy Fawkes Night. 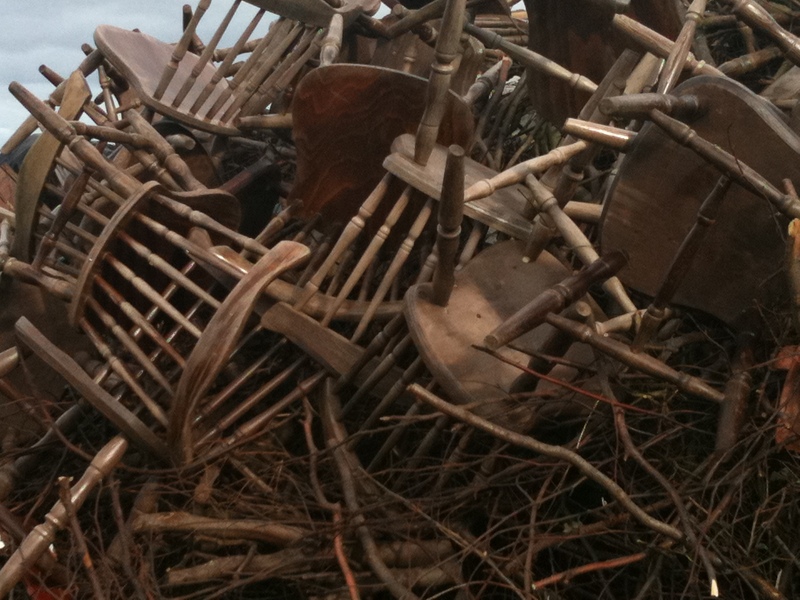 Lots of chairs on top. It reminded me of the work of Doris Salcedo. In the walled garden, designed by Gertrude Jekyll, the flowers were dancing. The Ship Inn was a good place to shelter.